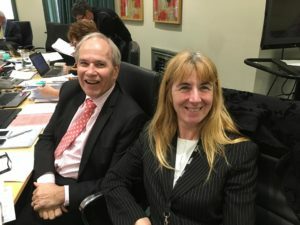 The Governing Body of Auckland Council has passed the Auckland Unitary Plan (UP) following a mammoth five-year process to unify all former regional and district council plans into one. From the Plan’s inception, City Vision has been a strong proponent of intensification, the compact city and building a liveable city all while protecting our built and natural heritage and working to secure affordable housing. Now, at last, we have a unified plan. That is something to celebrate but a progressive team’s work is never done: as one tranche of work ends, another is just beginning. 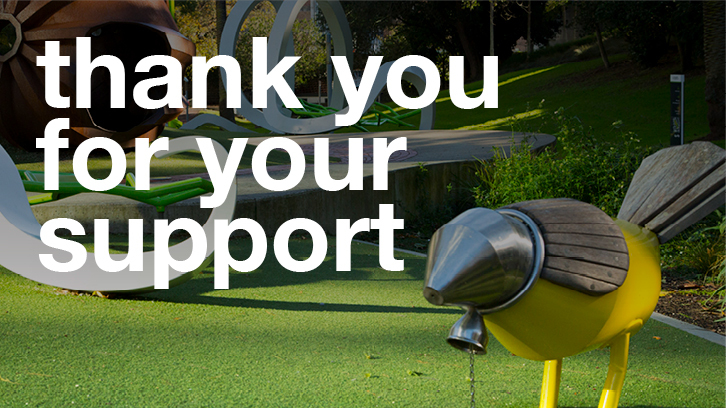 We must now work to deliver on the promise and potential of a unified plan for Auckland. The UP process started in 2012 with the development of a draft for consultation. City Vision has been actively involved right from day one to ensure that the UP achieves affordable housing, heritage protection and quality design. City Vision strongly supports a quality, compact city and limited urban sprawl. Our objective has been for Auckland to end up with a planning rulebook that implements the Auckland Plan and responds appropriately to inevitable future growth. In this post we provide an overview of the UP process and outcome on key issues. Albert-Eden-Roskill Councillor, Dr Cathy Casey, represented the views of City Vision through the deliberations and final decision making. In 2012, a political working group of Local Board Chairs, Councillors and Independent Māori Statutory Board members – including Waitematā Local Board Chair, Shale Chambers – was formed to develop the high level concepts that formed the draft plan. Consultation started on the draft plan in March 2013. 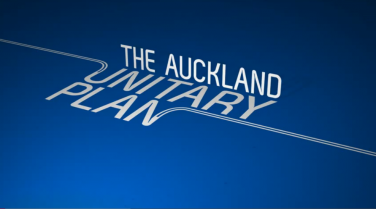 The feedback shaped the Proposed Auckland Unitary Plan (PAUP) that was notified by the Governing Body in September 2013 allowing for submissions to be made until February 2014. Members of the Independent Hearings Panel (the Panel) heard submissions from September 2014 until May 2016. The Governing body adopted in full the zoning recommendations of the Panel that provides for more opportunities to build more homes in the existing urban area of two to three stories, and up to six stories close to town centres and transport hubs. Even though Councillors were not given the opportunity to reject any specific zoning issues there were some important areas where the panel recommendations were pushed back. City Vision supported the rejection of residential zoning at the volcanic cone Crater Hill and near the Okura Estuary. Cathy is working with our Roskill Community Voice members on the Puketāpapa Local Board to clarify how the Unitary Plan decisions may be impacted by the recent Environment Court interim decision on Three Kings. Expansion of the Rural Urban Boundary (RUB) has opened up more new land for development as the city grows. Council accepted the Panel recommendation that the RUB is located at the District Plan level meaning it can now be adjusted through private plan changes. We’re concerned however that moving the RUB from the regional level has the potential to encourage further urbanisation in rural areas and the continuation of unsustainable sprawl. The Panel recommendations focused on increasing the quantity of dwellings rather than the quality and design. We’ve stood by the promise to Aucklanders that intensification must be done well with smart regulation that doesn’t add unnecessary costs to construction. We supported the maintenance of minimum apartment sizes and the requirement for resource consent for less than 5 dwellings (rejecting the Panel’s recommendations). This means there is a reduction in the threshold where developments must apply for resource consent from four dwellings to two. We are still concerned that other design provisions have been watered down by the Panel (e.g. removal of the sustainable design rules) and that reliance on the Building Code, as recommended by the Panel, is not going to prove an adequate mechanism to guarantee quality design, environmental efficiency and beautiful streetscapes. The Panel noted that the UP is not the silver bullet for housing affordability. Amending zoning to allow for more intensification is one significant tool that will increase housing supply but the Panel didn’t support the UP directly mandating the building of affordable housing. At an earlier stage, Cr Casey successfully moved an amendment to the PAUP requiring residential developments of 15 dwellings or more to include 10% as retained affordable housing. Unfortunately, Councillors voted 13-7 not to include affordable housing in the Unitary Plan. This was the only significant issue on which Deputy Mayor Hulse voted against the Mayor. City Vision was instrumental in the adoption of the pre-1944 overlay in the PAUP as a precautionary approach. It was a transitional measure allowing for heritage assessments to be carried out to support a future plan change to protect historic Special Character. Councillors voted to accept the Panel’s recommendation to remove the pre-1944 overlay and the continuation of the character overlay to areas zoned Res 1 and 2 in the District Plan (now called Isthmus A and B under the UP). Projection for heritage in areas zoned Single House but with no character overlay will now have to be achieved through plan change once further assessment is carried out. We wish to see the remaining Single House historic Special Character areas that were previously subject to the small amount of remaining pre-1944 overlay progressed by way of plan change. We continue to be concerned for the protection of post-war heritage that was neglected under the pre-1944 overlay and is only protected on a site-specific basis. We welcome the retention and protection of the 74 volcanic viewshafts (the overwhelming majority) at the regional policy level and have fought strongly for these to be retained throughout the UP process. The Panel’s recommendations including the protection of Historic Heritage with approximately 120 additional historic places including the Women’s Suffrage Memorial in Khartoum Place and the Civic Administration Building being scheduled as ‘A’ listed items. We supported the rejection by Councillors of the Panel recommendation to delete the art-deco flats at 44 Symonds St from the heritage schedule. City Vision supported the inclusion of 2213 sites of value to mana whenua in the PAUP as a precautionary approach until the sites could be assessed further. These sites have been identified as having cultural importance to local iwi. The Panel recommended that the sites be removed and this was accepted 6-12 by councillors. Cr Casey voted against that recommendation. We wish to see the appropriate assessment of the sites of value progressed and a future plan change to protect sites of value at the earliest opportunity. The Governing Body rejected the Panel’s recommendations (voting 16-3) on parking rates (minimums) for town centres, apartments, and mixed use zones. This is a significant decision that will improve housing affordability. A maximum rate of 1.5 car parks per dwelling (regardless of dwelling size) is proposed for residential activities. There are limited grounds for making an appeal to the decision of the Auckland Council on the Panel recommendations. Where the Council has accepted the panel’s recommendation, submitters can appeal the High Court on points of law only. Appeals to the Environment Court are limited to instances in which the Council has accepted a recommendation that is beyond the scope of submissions and the person is unduly prejudiced by the Council’s decisions; or, where the Council has rejected a recommendation from the panel a submitter can appeal the Council’s decision if this is a matter they submitted on. Appeals can only be lodged after public notification of the Plan on 19 August. With the Unitary Plan now finalised the Government can no longer blame Auckland’s rulebook for the housing crisis. With the ostensible obstacles cleared, we look forward to the Government joining us at the table and applying its considerable financial and organizational resources to building both social and affordable housing in Auckland that we can all be proud of.